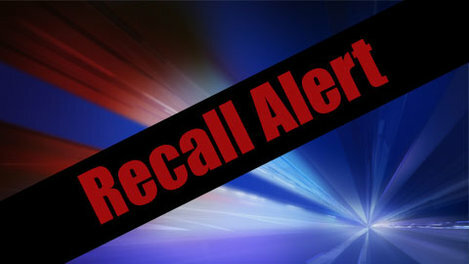 A massive recall by GM has been announced today, affecting 2.7 million vehicles which pushes its total number of recalled vehicles to more than 11 million this year. The latest recall is to fix a variety of problems. Included is a wire flaw that has been linked to at least 13 accidents with thankfully only two injuries. Most of the vehicles included in today’s recall are for older models, built before GM’s 2009 bankruptcy. The wire flaw, affecting the bulk of today’s recall, 2.4 million, includes the Chevrolet Malibu, years 2004 – 2012, the Chevrolet Malibu Maxx, years 2004 – 2012, the Pontiac G6, years 2005 – 2010, and the Saturn Auras, years 2007 – 2010. It has been determined that the wiring problem can cause the brake lamps to fail, causing either the lights to fail to illuminate when the brakes are applied, or, lighting up with the brakes are not engaged. Additionally, cruise control, traction control, electronic stability control, and the panic braking assist operation could be disabled. Seriously, only 13 accidents? If those numbers are accurate – and there is reason to question them – it is remarkably low. Despite GM having received hundreds of complaints about the problem, a recall was never issued. Perhaps that is because the estimated cost of the repairs are $200 million. This is on top of the $1.3 billion charge already incurred for the earlier recalls – essentially wiping out GM’s profit for the first quarter. GM has been plagued with its fair share of problems this year in a way that is may be irrevocably besmirching a brand that was making a monster comeback. It was just last month that a Texas judge allowed unrepaired GM cars to stay on the road before necessary ignition switch repairs are made. This, despite the objections of safety advocates and plaintiffs’ lawyers who have stated that there is no way, short of repairs, to ensure the ignition switch would not slip out of the run position, turning off the motor and disabling power steering, power brakes and airbags. There have been 13 people who have died in such incidents. Still, GM has repeatedly stated that the 2.6 million cars involved in the recall for ignition switch problems are safe to drive, as long as they are driven with only one key on the key ring. Seriously? GM bases this determination on “more than 80 tests” that they have performed. A whopping 80 tests when 13 people have died. It is very difficult to make sense of this and… GM no longer gets the benefit of the doubt anymore. GM, it is not the 1950s anymore. We may be stupid but we are not that stupid. What they don’t seem to be addressing is the fact that a simple bump from a driver’s knee can shut off a car’s engine. As early as 2004, GM engineers complained that the ignition switch could be turned off if the key was bumped by a knee. In a statement released, GM spokesperson, Jim Cain has stated that, “Based on more than 80 individual tests, including some very severe tests like driving over a railroad crossing at high speed and driving over river rocks, potholes and cobblestones, we concluded that the recalled cars are safe to drive provided just the ignition key is used to operate the vehicle. The results of the tests, all of which are described in our affidavit, speak for themselves.” Well, there you have it. I drive my car 365 days a year, but as long as there aren’t any problems on the first 80 days, we are good to go. Oh wait a minute, that is if I have just the ignition key on the ring. Well, who needs a house key anyway. Listen, I know I’m oversimplifying a complicated issue. But I can’t get past the simple solution: just fix it. Anyway, the recalls announced today have brought GM’s total number of recalls for the year to 18. GM’s recalls alone have the U.S. auto industry on pace to break the record of 30.8 million recalled vehicles that was set in 2004. Replay my earlier speech about irrevocably besmirching this legendary brand.